Generally, the term "extra virgin" means an overall higher quality flavor. Specifically, it means a few things. The first is an "acidity" level of less than 0.8%. Keep in mind this doesn't refer to acidity in the taste (like lemons or vinegar), bur rather in the chemical structure of the oil. Lower acidity levels indicate less of a deterioration of the oil, which means a better flavor. Secondly, the term "extra virgin" means that the oil was extracted from the olives solely through mechanical means, like pressing or grinding the olives to release the oils. This is opposed to using chemicals and solvents to extract and refine the oils. Lastly, being labeled "extra virgin" means that there are no significant flaws or defects in the flavor of the oil. That burning tickle you feel in the back of your throat when you sip on high quality olive oil? Scientists believe that that "kick" is an indicator of healthy polyphenols in the oil. Good olive oils can range in color from golden to an almost dark yellow-ish green, depending on the type of olives used. A tremendous number of olive oils labeled "extra virgin" actually aren't. They consist of oil too low in quality to pass the "taste test" of extra virginity or a combination of some extra virgin oil diluted with cheap, refined lower quality oil. The oil is refined with chemical solvents to strip away unpleasant/inconsistent odors, flavors, and pigments. The chemical solvents used to refine cheap olive oils aren't harmful, so why does it matter if you buy a "fake" extra virgin? Well, for one thing, the term "extra virgin" on a label automatically jacks up the price, so even if you're getting a deal on a big gallon tub of it, you're still paying too much for that low quality junk. Secondly, flavor, flavor, flavor! The cheap stuff tastes cheap and while in real life, we don't sit around sipping olive oil, the flavor does come through when you cook with it. Lastly, the cheap stuff has been refined to the point where you're losing many of the nutritional benefits of extra virgin olive oil, such as the aforementioned polyphenols. Labels can and often lie, so beyond finding a brand you like the taste of, that you know is high quality, and sticking with that, there's no sure-fire way to guarantee that what you're paying for is truly extra virgin olive oil. A few things you can look for on the label are a single country of origin (some of our faves are from Spain, Greece, or Italy), a best-by date, and, ideally, the acidity level (remember: less than 0.8%). We saw more than one inferior product parading around in fancy bottles labeled with all kinds of extraneous info. Don't be fooled! 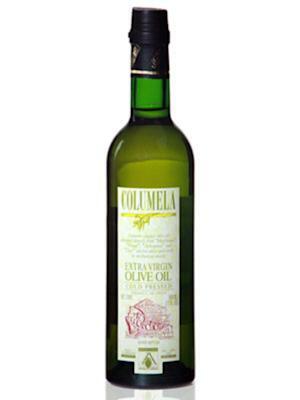 What's your favorite olive oil? Let me know in the comments!